Every prostate cancer is different. No two prostate cancer are the same. Before you research treatment options, you need to have a basic understanding of what type of prostate cancer you have, which is found in your medical records. 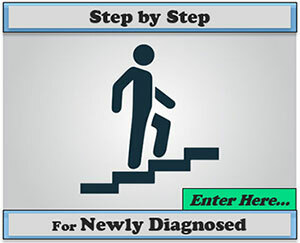 This Step-By-Step program will help you. Remember, too, that most Active Surveillance (AS) patients are being retested and re-staged annually. So the information which is helpful to AS patients is very similar to the information helpful for Newly Diagnosed. This section website is designed to help both. As you look at different treatment ideas, remember to weigh both the Benefit (cancer response, or cancer control), and the Risk (side effects). Scroll to the BOTTOM of this page for information on SIDE EFFECTS. Also ask about cost involved, and give thought to whether it’s important to you to travel outside to receive treatment from an expert. Remember to give yourself some time to work through all these issues.